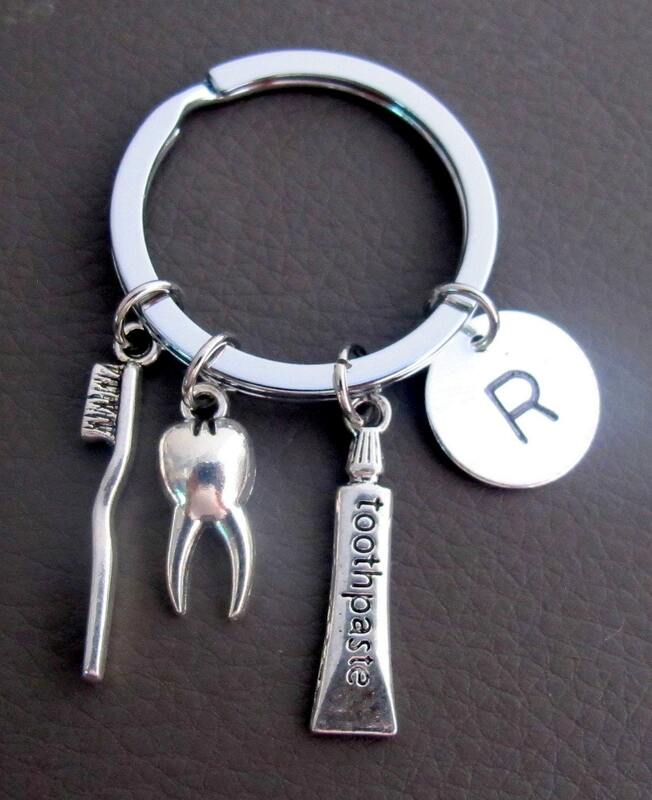 Dental Keychain, Doctor Key chain, Dental Assistant Key ring. The First tooth Keychain for your baby or to gift someone. A keychain for children and teens to remind them to maintain dental hygiene. This Key chain has Toothpaste, Toothbrush, Initial and tooth as its charms. This was a really cute stocking stuffer for my daughter who's in dental assisting school. She loved it!